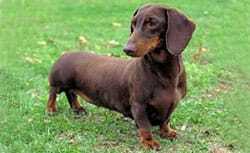 Jasper, a dachshund, might not go on long walks, but he can stay in step on a treadmill with harness support after participation in a stem cell-based trial conducted by Wellcome Trust-MRC Stem Cell Institute researchers. Professor Robin Franklin and his team isolated olfactory ensheathing cells from the nasal cavity, which promote neuron replacement. These cells, after culture and expansion, were transplanted into the spinal chord injury site of half the study’s canine participants while the other half received a placebo injection. The cell dose group showed improved fore-hind coordination compared to the control dogs. Based off of this study, published in Brain, the researchers hope to have sufficient “proof of concept” to pursue similar studies.